Cars 2 Teaser Poster. 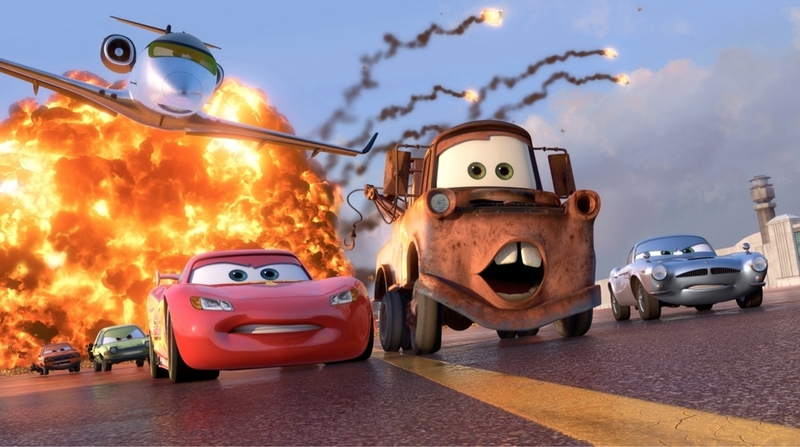 Lightning McQueen and Mater are being pursued down an airport piste par a gang of cars and a plane. That's new character Finn McMissle tailing Mater.. HD Wallpaper and background images in the Pixar club tagged: pixar cars 2 mater lightning mcqueen finn missles. This Pixar photo might contain rue, scène de ville, milieu urbain, ville, scène, urbain, cadre, and mise en scène de rue.